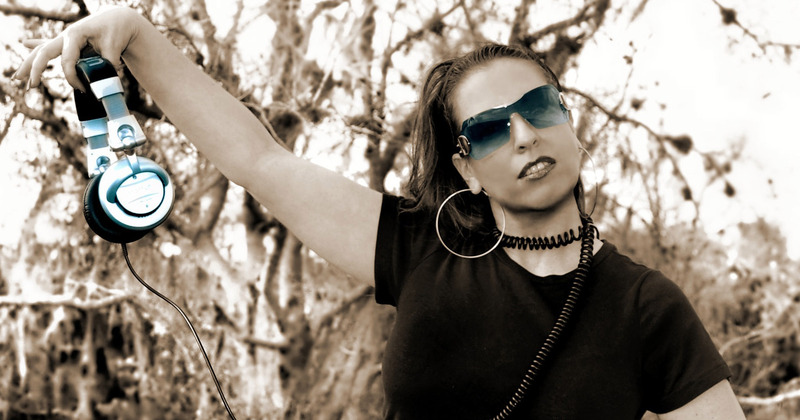 A Florida-based DJ/Producer that has ran through many of the EDM genres and now a techno/tech-house champion - Jennifer is one of the hardest working females in the business, Jennifer's passion for her craft shows in her music and in her performances. Coming from Royal blood - a real live Russian Princess to be exact - Jennifer Marley gave up the tiara and followed her undeniable path to House music, at a time when it was hitting harder than ever and in a place where all the best House music DJ’s were honing their crafts… New York. Then through a major decision to make a bold move out of New York, down to Florida, Jennifer’s passion for electronic music didn’t skip a beat. She quickly embraced the new styles and genres of Florida and in no time flat, she was earning her place among this new crowd as well. Through her decision to be diverse in her styles and not just stick to a single genre, Jennifer created opportunities to work with and learn from some of the biggest names in Breakbeat, Electro House, Progressive, Trance and others. Some of those artists include The Crystal Method, George Acosta, and Donald Glaude. This flexibility allowed her to get a taste of many styles, which ultimately helped her settle into her own signature style of Techno and Tech House. In January of 2011, Jennifer became one of the first presenters on a new Internet Radio Station ‘Party 95’, in Orlando, Florida. In true Jennifer Marley fashion, she did things a little different than the other presenters that were doing a weekly or monthly show. She was doing a daily show, Monday through Friday. This format allowed Jennifer to further experiment with genres and also got her in front of other big names in the biz, since she became the station’s go-to interviewer when the artists came in town for festivals. Wanting to immerse herself even more into her craft, Jennifer knew the next logical step from talented DJ was to start producing her own music. So in July of 2013, the world got to hear the first Jennifer Marley original - “Jacked In”. Since her first release, Jennifer has been knocking them out of the park, steadily, releasing at the pace of one every month or so. Jennifer’s radio show ‘Electric Boom Boom’ is still saturating the “air waves” and is now available internationally in Japan on Kittikun Minimal Techno (www.kittikun.jp), and in Holland on Beats 2 Dance (www.beats2dance.com).